Matt McGinley’s Partners in Learning project “Students Driving Learning Forward” was so innovative and unique, 150 Croatian primary schools wanted to see it for themselves, via Live Meeting. Students at McGinley’s school, Christ the Redeemer, built a life-size Formula One race car and put a game console inside. The game stimulated many classroom activities: the cars’ national flags were used as a starting point for finding out about race tracks in various countries around the world; lap times were used for math work and the pupils also learned about financial planning, as they secured “sponsors” to buy T-shirts and caps. When McGinley first introduced the idea of using games in the classroom, he was met with some skepticism. But McGinley was convinced that games and game consoles could be effective tools not only to teach, but to get students excited and engaged. Today, he shares what he’s learned by introducing games in the classroom, and why he thinks that taking risks pays off. Working with my colleagues at Christ the Redeemer, we have used computer games and new technologies (e.g. Kindles, DSi) and integrated them into our topics in Primary 6. By adopting a topic-based approach and using interesting and relevant topics, the children are more engaged. We have then used computer games to enhance the children’s learning. We’ve noticed that in P6, the group that has used the technology, we have seen an increase in all of the children’s attendance figures, and the number of problems with behavior, especially in the boys, have dropped dramatically. Pupils in the group one year below these students develop a real anticipation of “becoming a P6” and using the technology available to improve their learning experience. The DSi has also improved the children’s mental math skills as they can interact with each other and play games that improve quick mental recall. Be prepared to take a risk. The technology is out there so familiarize yourself with it. The majority of children have this equipment at home and can help you learn. The technology can be integrated as a reward system to encourage good behavior from pupils with behavioral problems but also used to support geography, numeracy, drama, art and communication skills. It’s also very important to engage children in the planning process and allow them to have their ideas. A lot of the ideas we use in the school, like using computer games, have come from the children themselves. By using the DSi as a math follow up activity, it has made learning the times tables fun. The children have targets and work on all their basic skills to aid all aspects of their numeracy work. The use of the Wii has allowed the children to complete time work through F1 lap times, Sonic and Mario at the Olympics (Ancient Greece topic), to experience life as a Viking Warrior or an F1 driver and then be able to talk and write about the experience. The biggest obstacle at present is the ongoing selection process at the age of 11 or 12 for pupils. This places a lot of pressure on children and can make them feel like ‘failures’ if they do not obtain a certain grade. The new curriculum that has been introduced is aimed at developing the whole child for the future but as some grammar schools can only be accessed by passing an entrance exam in literacy and numeracy, there becomes a pressure to ensure the children in your class are best equipped to pass. I believe that the new curriculum now allows teachers to equip the children with skills they need to succeed in whatever career path they choose. There is scope for flexibility to create topics that engage and interest the children. There is a good emphasis on cross-curricular skills, e.g. skills learned in science can be adapted and used in numeracy. The political will for a common agreement amongst politicians to come together and decide on what is best in the long term for education instead of short sighted, quick-fix solutions. The current economic climate also raises a challenge as school budgets are cut and class sizes increase. More money should be invested into our schools as our children are the future. With the developments of new technologies, smart phones and tablets along with apps, there is a world of opportunity for educationalists and I believe the best opportunity for development is in integrating them safely and effectively into classrooms. While technology is not the be-all and end-all — children still need an enthusiastic and caring teacher — technology can certainly aid and improve the children’s learning experience. We are also preparing the children for the real world where they will be using this new technology and it important they are equipped to use it correctly. Be prepared to take a risk. We continually encourage our pupils to take risks and learn from mistakes but do we follow our own advice? If you believe that there is something you can do that will improve the education of your children, try it, evaluate it, tweak it, etc. We all make mistakes but learn from them and importantly learn from your pupils. They can teach us many things; never believe you are the finished article! agreeing on success criteria and planning topics allows the children to feel part of the learning process and gives them ownership of their learning. I think the trend of quick-fix solutions and continual change for change’s sake at the policy level can harm learning as some ideas need time to be embedded. teacher. His enthusiasm and energy made lessons interesting and engaging and while I can’t replicate his style, I try to replicate his enthusiasm and drive. Favorite childhood memory: Going to see Liverpool FC play for the first time. When was the last time you laughed? Why? With my wife, she has a great ability to make me laugh at simple things! Favorite music: Everything from classical to rock but prefer dance/club music. 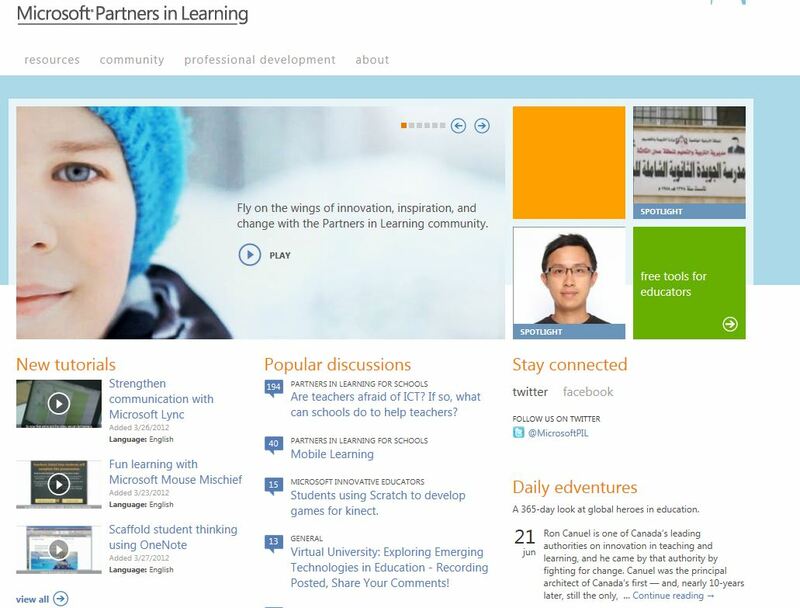 This entry was posted in Game Based Learning, People and tagged Gaming in education, Microsoft Partners in Learning. Bookmark the permalink.